Make sure your post has been depended on WordPress tutorial or Some other internet type tutorial. If your post is not depended on WordPress then it has a high chance to not approved by us. 1. Content provided must be Guest Blogger’s original work and must not be published anywhere else online, before and/or after it is published on WPBloggerbasic’s website. Once Guest Blogger has submitted content to WPBloggerbasic, it may not be published anywhere else online, including Guest Blogger’s own website/blog without WPBloggerbasic written consent. 2. Plagiarism: Plagiarism is not permitted. Guest Blogger agrees to ensure that all sources are properly credited. WPBloggerbasic will not be held accountable for improperly credited sources. Guest Blogger agrees to take all responsibility for plagiarism or improper citations. 3. Length: WPBloggerbasic prefers that the length of each blog post be between 500 and 1500 words. 4. Images: WPBloggerbasic will accept images and/or video to accompany blog posts. WPBloggerbasic prefers that the images/videos Guest Blogger provides are related to the content. WPBloggerbasic reserves the right to reject any image or video. WPBloggerbasic reserves the right to use it’s own image/video or any other image/video of it’s choosing alongside any blog post. If Guest Blogger provides an original image, Guest Blogger gives WPBloggerbasic permission to use that image. Guest Blogger will verify that WPBloggerbasic has permission to use any image that Guest Blogger provides. If Guest Blogger is borrowing an image, he/she agrees to use proper attribution. 5. Blogger Backlink: WPBloggerbasic allows Guest Blogger backlink with links to Guest Blogger’s website and/or social media pages. WPBloggerbasic reserves the right to refuse any link for any reason. WPBloggerbasic reserves the right to limit the number of Backlinks (Maximum 2). The link may not be an affiliate link or point to an affiliate site. 6. Links: WPBloggerbasic reserves the right to refuse and remove any links within the post. This may be done without notice. 7. Editing: WPBloggerbasic may make changes to the content for any reason. Prior to publication, WPBloggerbasic will make sure that Guest Blogger agrees with the changes. 8. 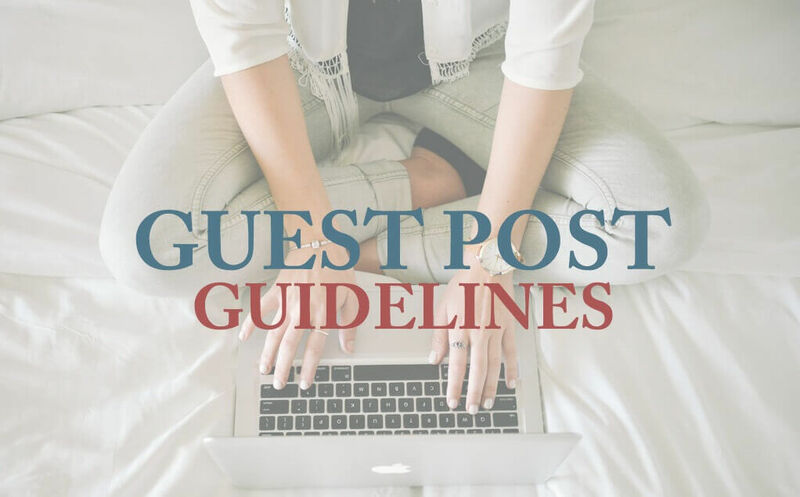 If a guest post is inappropriate or needs improvement, WPBloggerbasic will give Guest Blogger notice and may offer suggestions. 9. WPBloggerbasic reserves the right to refuse publication, remove any content, and make changes to these guidelines. 10. Changes to terms: WPBloggerbasic may change these Terms & Conditions at any time. Guest Blogger is solely responsible for staying up-to-date with these Terms & Conditions.